TAGBILARAN CITY, February 1 (PIA)–If Alicia had a trail run and an off-road bike race in two days, Antequera will do it in one: the Antequera Off-road Duathlon 2018. 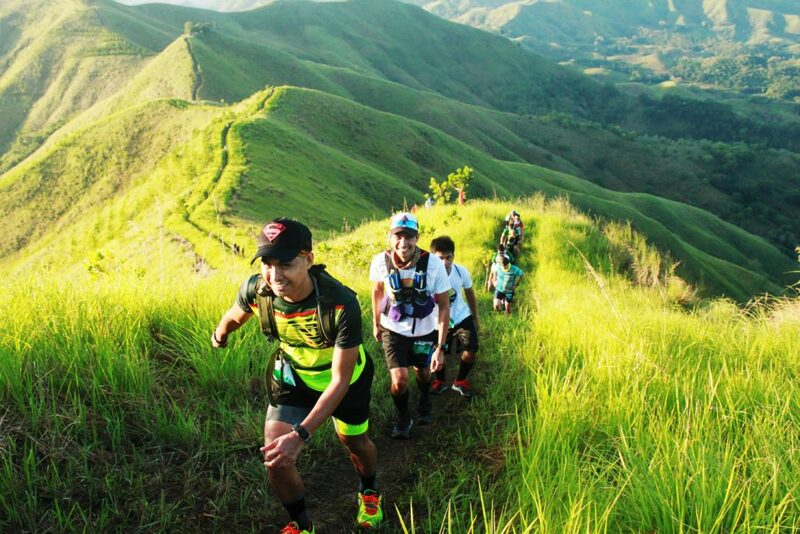 Now asserting as a viable sports tourism destination, Bohol is at it again this summer, with another grueling race showcasing Antequera’s trails and immersion into locals in a rub-bike run event. Set at 6:30 AM this March 18, the 5 kilometer (km) run, 25 km bike and 3 km run speeds off in the classic leave no trace race: participants who litter could lose, so they must provide for their race provisions while organizers put up aid stations where participants can refill water bottles or hydration packs. “We want this with least environment impact, so participants are advised to pocket their litter and empty them at the aid stations, outside help from non-participants or spectator, like food, hydration, tools, or medical assistance from any person not directly involved in the event in the entire bike course is strictly prohibited,” one of the race organizers, Russel Villas said. “Even pacing from a non-competitor or vehicle is not allowed at any time on the bike course, participants may walk their bike if needed, but they can’t complete the bike course without their bikes,” he added. Participants must complete the entire bike course unassisted, strictly following the designated track and specified as race course, or face disqualification, return to the transition area on the same mountain bike they started as a bike change would be ground for disqualification and immediate ejection from the race. Open to participants 16 year old and above and who have at least trained or participated in an off road race, the Antequera Duathlon is still accepting registrations until Feb 28 at Bohol Bike Shop in Tagbilaran, for individuals at P600 and relay at 1,200, which includes race kit; finishers medal, jersey and post race meal. Open for three categories, the race accepts 29 years and below, 30-39, 40-49 and 50 and above for the male category and 35 years old and below and 35 years old and above for females. Set to go, rain or shine, this March 18, at exactly 6:30am of March 18, race clock officially stops at 1:00pm of the same day, or 6 1/2 hours after gun start, according to Vice Mayor Simon Leo Jadulco, head of the organizing team. “Duathletes who are still on the road by the cut-off may still finish the race beyond and still get their finisher’s medal and shirt, but they will not be included in the official list of finishers as the race provides no time extensions,” he added. As to the off-road bike segment, organizers said only 26, 27.5, 29 inch wheels mountain and fat bikes are allowed with minimum 1.9 tire size for the race. Those using a tire size 1.9 below, will be disqualified for a podium finish in all categories. With this, racers need to get their bikes checked-in at the transition area on March 17, Antequera Town Center from 3:00-5:30pm, when they can also claim their race kits. Another bike check-in will and race kit claims is set 4:00am-5:30am on race day and upon mandatory 2 hours check in, race bibs, proper running and biking apparels, hydration bottle and helmets are also presented, personal audio devices, strictly prohibited. All bikes must be checked-in and mounted on the racks at the transition area by 5:30 AM race day, no extensions or late check-in of bikes are allowed. Before that, participants may still have full access to their bikes before these are hung in racks at the transition area, which would not be removed until the start of the bike leg. Race briefing is set March 17 at 5:30pm at the transition area and a carbo-loading dinner will be served later. For Tagbilaran City based-bikers, a truck for bikes will be available only at 3:00pm March 17, 2018 from the Rizal Park, Tagbilaran City, and will ferry the bikes back to Tagbilaran after the race on Sunday, according to duathlon organizers.